New Innovations from TigerConnect Empower Nurses to Spend More Time With Patients—In Person or Virtually— Making it Faster and Easier to Coordinate Care. This week at the American Organization of Nurse Executives (AONE) Annual Conference, being held April 10-13 in San Diego, TigerConnect will showcase several new innovations that focus specifically on enabling critical use cases for nurses. These new clinical communication innovations for nurses allow them to spend more time focused on their patients and facilitating quality care, they include integrated nurse-call capabilities, single sign-on, virtual care and rounding, and video and voice calling. TigerConnect is showcasing new nurse capabilities at AONE, including integrated nurse-call capabilities, single sign-on, virtual care coordination, and video and voice calling. 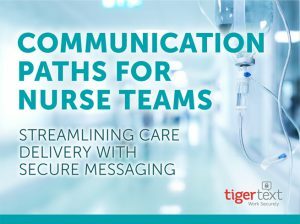 Nurses are central to care coordination, evidenced by the fact that they are involved in four times more TigerConnect communication workflows than physicians (TigerConnect usage data). Organizations with higher nurse usage are getting more value out of TigerConnect – they send more messages per user, they report better patient outcomes, and they also report higher staff satisfaction. The product enhancements TigerConnect is unveiling at AONE, and throughout the year, are paving the way for a future where a care community is no longer working on parallel tracks, but collaborating throughout the care continuum. To get a better understanding of nurse usage, we followed up with a handful of organizations who had higher nurse usage. 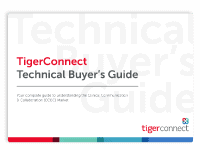 What we found across the board was that organizations with higher nurse usage were getting a lot more value out of TigerConnect. 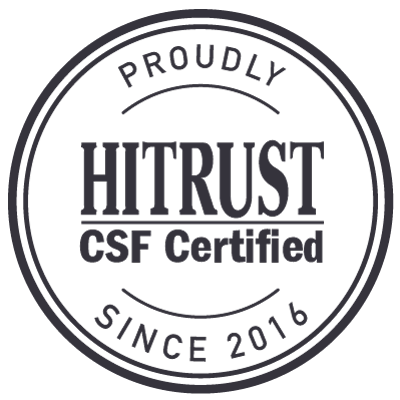 They self-reported having a higher percentage of users across the organization, more messages sent per user, better patient outcomes, and more satisfied staff. With group video calling, TigerConnect is bringing the concept of virtual care to reality. Virtual Care and Rounding from TigerConnect allows up to 10 care team members to participate in group video sessions or text-based conversations to collaborate, share information in real time, and reach consensus around treatment options. Whether a patient is in a hospital room, a skilled nursing facility, an urgent care center, or at home — access to specialists, physicians, and other care team members is just a few clicks away. New virtual care capabilities truly empower nurses to coordinate care for the patient beyond the confines of the physical site. A nurse can bring the entire care team together virtually to provide the patient with access to the best treatment, even from the most remote location. 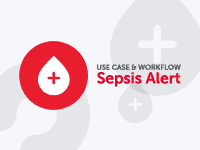 Nurse call workflows are extremely common in the inpatient care setting but often require yet another device to manage. Plus, it’s often impossible to triage and prioritize incoming nurse calls when every alert looks the same. 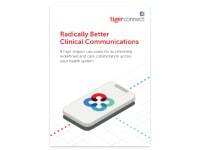 TigerConnect is introducing greater integration capability with nurse call systems to receive, route, and respond to nurse calls and alerts by speaking to patients directly through a bedside speaker or phone. For example, if a patient pushes the nurse call button to request bedside assistant, the nurse on duty will be notified immediately in the TigerConnect app and can easily initiate a call to the patient to find out what the patient needs. No need for an additional device. To help nurses spend less time with technology and more time with patients, TigerConnect is partnering with an industry leading Single Sign-On (SSO) vendor. With this new integration, nurses can utilize their proximity cards and biometrics to easily and securely swipe their ID badge to sign in or log out of TigerConnect, reducing the toil of application access and password management. Now with TigerConnect, nurses no longer have to rely on cellular plans or hardwired phone systems to make calls to landlines and other cellular devices. TigerConnect offers VoIP-based calling capabilities that leverage a Wi-Fi connection so nurses can make calls through their smartphone or tablet to a landline or cellular phone. This functionality can be extremely useful when a nurse is trying to reach someone outside the hospital, such as a pharmacist. For organizations that provide shared Wi-Fi-enabled devices, calls to staff members—by name or by role assignment—can be placed directly from within the app. TigerConnect will showcase these new enhancements at the AONE (April 10-13 in San Diego, CA), booth 340. Schedule a meeting with the TigerConnect team today to learn how your nursing community can benefit from these new features and deliver a seamless care experience.